Ahead of a new public preview for Windows Server 2016, which is expected sometime next week, screenshots have leaked of build 10514. Wzor posted a series of screenshots detailing the install of Technical Preview 3 on his website earlier today. 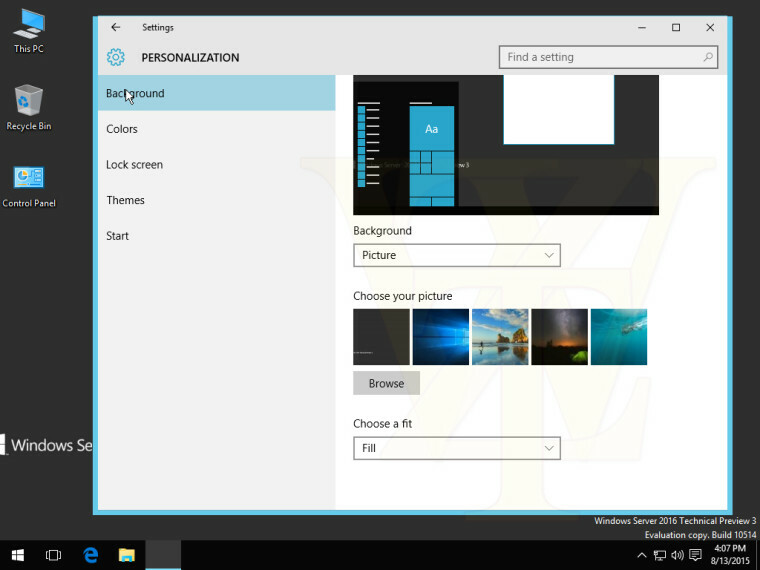 From the screenshots, it's clear that this build is from the public development th2_release branch, which is the same branch that Insiders received 10512 for Windows 10 Mobile earlier this week. 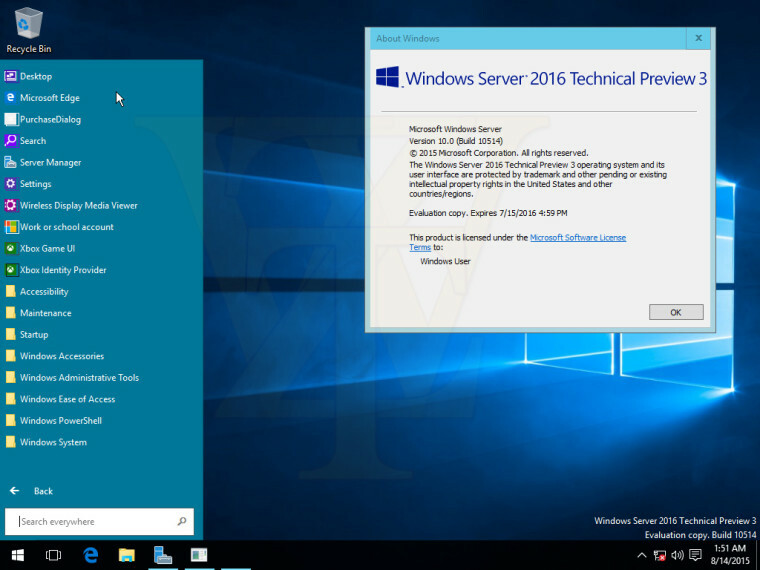 TH2 (Threshold 2) is set to launch in October, but Windows Server 2016 isn't rumored for release until early next year. 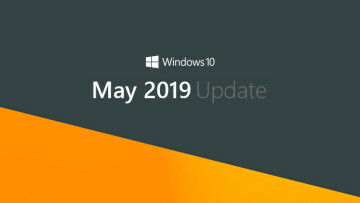 Regardless, TH2 (or Update 1) is the next update in line for Windows 10 users, and Microsoft is expected to kick off a preview for that very soon. 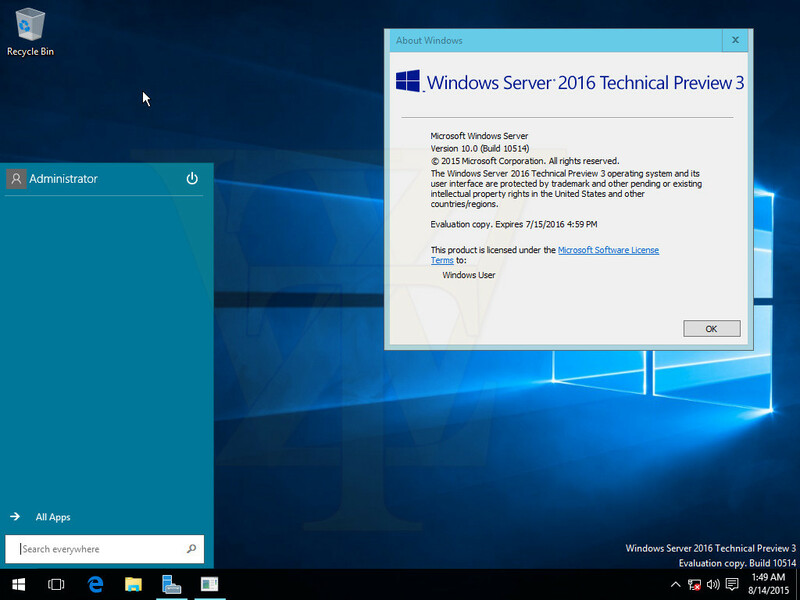 No firm date has been set for the release of Windows Server 2016, although it is expected to ship in early 2016. You can view a bunch more screenshots of the Technical Preview here.